You are warmly invited to the West Lancs CVS’ AGM to be held on Wednesday 3 April 2019 at Evermoor Community Hub, Skelmersdale from 10am (9.30am registration) until 11.30am. To book your place, please complete the booking form and return to Vicky Attwood. Well done to all those who braved February’s snow and made it to the CVS AGM and funding information event! General Data Protection Regulation (GDPR) will start to be enforced from May 25th 2018 and this has a number of implications for voluntary sector groups. A number of you have asked whether we can provide training on GDPR so we have arranged a training course for Wednesday 28th March 2018 (venue to be confirmed). There may be a small charge for this but we will confirm this when we know how many are attending. Limited numbers are available so please book quickly to avoid disappointment. To book a place please email Jill Bradley or call 01695 733737. For more information and resources about GDPR, please see our new information page. The West Lancs CVS Annual General Meeting / Funding Information Event is being held on Tuesday 27 February 2018 at Evermoor Community Hub from 9.30am (registration) until 1.30pm. If you would like to reserve a place / an information stand at the event please complete the booking form. A new project is being launched to look at how the Tawd Valley, often described as the ‘jewel in the crown of Skelmersdale’ could be developed to improve its appeal and accessibility to local people. A wide ranging consultation will take place between now and October culminating in a Master Plan to guide future development and look at how the park can be sustainable. 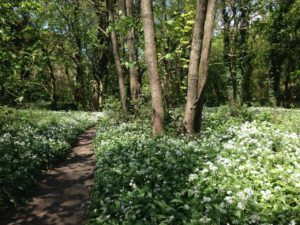 The Tawd Valley, a lush wooded valley running for 2km through the heart of Skelmersdale is an underutilised local resource with huge potential to provide opportunities for both wildlife enthusiasts and those simply looking for recreational activities to enjoy. As well as being a beautiful and restful country escape in the heart of the town, the valley is a haven for wildlife. Tests over recent years have indicated that the water quality of the river is generally very good, providing a healthy home and habitat for a variety of fauna. Last year, 1,500 fish, mainly Roach, Chub and Dace, were released into the Tawd in the Park. Kingfishers have also been spotted there in recent times. The hope is that the future development of the valley will further improve the natural environment including the creation of sustainable wetlands in specific areas beside the river to further improve the quality of the water running through the Tawd into the River Douglas. 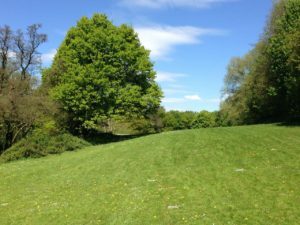 As well as looking after the ecological interests of the valley, the Park needs to provide recreational opportunities for local people such as walking, jogging, and cycling, as well as fishing and bird watching. The overall aim of the project is look at how to provide opportunities for people to enjoy the valley to the full, whilst at the same time generating the financial resources needed for the area to be looked after and maintained. The first phase of the project will involve a community consultation with local residents and people who already use or have an interest in the park including local primary schools, secondary schools and colleges, to see what direction future improvements should take. The results of these consultations will help to inform the content of a questionnaire that will be issued later in the summer to seek the wider views of other members of the public as to how the Tawd Valley might be developed. Members of the public are invited to attend a consultation event being held by Groundwork Cheshire Lancashire and Merseyside, with support from West Lancashire Council for Voluntary Service on Wednesday 21st June, from 6.30pm in the main hall at the Ecumenical Centre, Northway, opposite the Concourse. As well as gathering people’s views as to how the Tawd Valley should be developed, one of the main aims of the consultation event is to identify people with an active interest in the Park who might wish to go on to form a ‘Friends of the Tawd Valley Park’ group to look after the park in years to come. The project is being led by West Lancashire Borough Council supported by a Project Steering group with representatives from the Environment Agency, County Council, the River Douglas Catchment Partnership, Groundwork CLM, West Lancs CVS and SHARES. For more information on the consultation event on the 21 June, contact the CVS on 01695 733737. The CVS welcomed 81 representatives from community, voluntary and statutory organisations as well as the public and private sectors, to the CVS AGM and Health Network Event at Haskayne Village Hall recently. The event featured presentations from a variety of speakers including Greg Mitten, CVS Chief Officer, who outlined the ongoing struggles faced by the VCFS in the current climate. He detailed the role of the CVS as an umbrella body and highlighted the five core areas of CVS work: Volunteering, Funding Advice, Information, Training, and Partnership. A full report of the day can be found here. West Lancs CVS is working in partnership with Citizens Advice Lancashire West and West Lancs Borough Council to enable people to access help with using digital tools and getting to grips with navigating online. The sessions will be held at the Digital Health Hub (next to Citizens Advice), Unit 47, The Concourse Shopping Centre, Skelmersdale, Lancashire, WN8 6LN. Book your place through Citizens Advice 0344 2451294 or via the Eventbrite links in the course title. If you are looking for information online, wanting to apply online or make better use of your smartphone, tablet or computer, Buzz-IT is offering one-to-one support. This is a great way to share your digital knowledge and skills with others who may be less confident. There are two roles available, Digital Buddy and Digital Champion. Both volunteering roles involve supporting others to gain and develop digital skills, to understand Data protection and security as well as find information online. Training for both roles is provided. To find out more, contact Jan or Sarah at West Lancs CVS on 01695 733737. Everybody welcome – please drop in and find out what support is on offer for carers in West Lancs! Download our general leaflet and all carers leaflet.